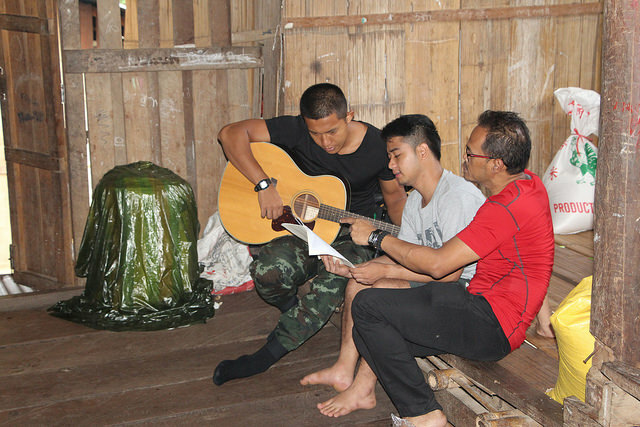 This trip to Thailand was so unique as a big part of it was ministering to the people of the Karen State. Precious people who are living primitive, yet lovely blessed lives in the jungles of the Karen State, where all families had been touched one way or another by the devastation and horrors of the longest, ongoing civil war in the history of mankind between the Karen and Burmese people of Burma (Myanmar), the north-western bordering country to Thailand. We had the privilege to stay with the Karen people, share the Good News with the children in the schools, lead Evangelism services in the evenings, and pray over a piece of jungle where they hope to relocate at least 10 families to, coming from Karen refugee camps and other struggling villages to start a new village with the potential to grow into a little town of up to 100 families—all centered around a Christian church and school! 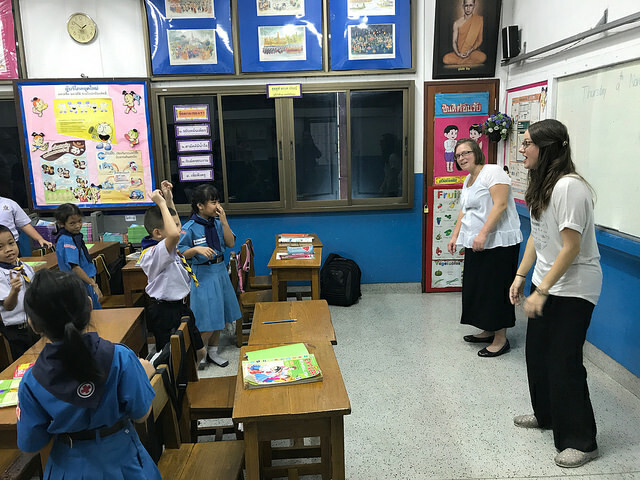 Taking two interns, Amber Mead and Morgan Mauldin, to introduce them to the ministry in Bangkok, and get them settled to stay behind after the trip and continue serving in some of the Buddhist elementary schools and colleges of Bangkok—teaching English, while using it as a ministry tool to build relationships and share the Good News! Introducing the ministry to two pastors of Marion, OH was so exciting—Matt Deeren of Cornerstone Alliance Church and Mark Mauldin of Word of Life Christian Center. We had so much fun with a youth day at Chom Tong, just outside of Chiang Mai, teaching Karen and Thai young people all 39 Bible books and themes of the Old Testament, and how to have God glorifying relationships. We had a Saturday evening, as well as a Sunday morning worship experience with the youth and adults. We enjoyed two incredible worship evenings in Bangkok: One with Bible Church Thailand members, and the other with a restaurant owner and his employees at the end of a work day! The group was also exposed to both the extreme spiritual darkness with visits to public idol worship and Buddhist temples, as well as the incredible open doors to build relationships and bring the Gospel into Buddhist schools and colleges! We were so extremely blessed on this trip—furthering current work, being part of new beginnings, and growing the Kingdom with people who came to faith, others recommitting their lives to Christ, and bringing back transformational change in our own lives and communities…God was surely glorified and to Him be all the glory!